LUMPENPROLETARIAT—UCLA Law Professor Kimberlé Crenshaw, recently featured on Democracy Now! (Pacifica Radio), provided excellent analysis today, on free speech radio KPFA’s Letters and Politics, of the state of the USA’s police state and consequent police state terrorism. In a perfect world, this interview would have been broadcast on national morning television, radio, and print. Listen or download mp3 here. Professor Crenshaw (b. 1959) provides comprehensive analysis of police terrorism in the USA, taking a step back from the micro analysis of each particular case of murder by police of unarmed human beings, ranging from children to the elderly, to find and elucidate the patterns of police abuses, which belie the prevailing notion in for-profit/corporate media of isolated incidences where cops feared for their safety. Professor Crenshaw has achieved a notable career, gaining distinction for popularising the concept of intersectionality with regard to police interaction with the lower classes of society. Professor Crenshaw emphasised the importance of the intersections between race, gender, class, and other socioeconomic markers, especially in setting legal precedent. Professor Crenshaw is also noted for having worked on the case brought by American attorney and academic Anita Hill (b. 1956) against USA Supreme Court nominee Judge Clarence Thomas (b. 1948). In concluding the interview, Jeserich noted Bernie Sanders’ avoidance of the issue of white supremacy. And Professor Crenshaw brilliantly raised the question of class, echoing the emphasis which political prisoner David Gilbert , one of the people’s teachers and elders, has often emphasised—the importance, when working toward socioeconomic justice, when resisting imperialism, of including race, phenotype, ethnicity. Without conquering white supremacy and male patriarchy, in all of their insidious guises, the Left is doomed to repeat its errors of the past. Consideration of the work of UCLA Law Professor Kimberlé Crenshaw can help the Left more effectively frame the issue of police terrorism. As #BlackLivesMatter carries forward through #SayHerName, gender enters the national discourse around police terrorism. Hopefully, the next phase in this current evolution of the national discussion, will expand to include the police terrorism suffered by all ethnicities. Indeed, perhaps, the needed slogan might be more accurately framed as #LowerClassLivesMatter. LETTERS AND POLITICS—Dr. 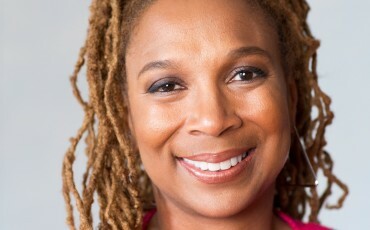 Kimberlé Crenshaw teaches Civil Rights and other courses in critical race studies and constitutional law at UCLA School of Law and Columbia School of Law. Her primary scholarly interests center around race and the law, and she was a founder and has been a leader in the intellectual movement called Critical Race Theory. Crenshaw introduced the theory of intersectionality to feminist theory in the 1980’s. Although the concept of intersectionality was not new it was not formally recognized until Crenshaw’s theory. Consider David Gilbert’s interview, which is included in the DVD extras for the documentary film entitled, The Weather Underground. View the film here, http://www.snagfilms.com/films/title/the_weather_underground. David Gilbert, a Lifetime of Struggle from J. Brown on Vimeo.